Very Good. 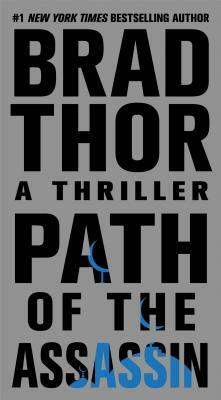 Path of the Assassin (Scot Harvath) by Thor, Brad. Mass market (rack) paperback. Glued binding. 624 p. Scot Harvath, 2. Good. Path of the Assassin (Scot Harvath) by Thor, Brad. Mass market (rack) paperback. Glued binding. 624 p. Scot Harvath, 2. Good. Mass market (rack) paperback. Glued binding. 511 p. After rescuing the president from kidnappers, Navy SEAL turned Secret Service agent Scot Harvath shifts his attention to rooting out, capturing or killing all those responsible for the plot. As he prepares to close out his list, a bloody and twisted trail of clues points toward one man-Hashim Nidal. New. Mass market (rack) paperback. Glued binding. 624 p. Scot Harvath, 2. Great book that has as much excitement and more with his first book. The shipper of this book was more than accuratemabout the quality of the book shipped. I am still reading this book, but it seems to be one of the real good ones. Brad came through again on this one. Excellent writing about what is a VERY current topic. Can't wait for his next book. I have read them all.